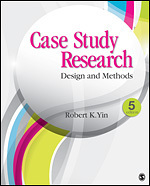 A case study focuses on a particular unit - a person, a site, a project. It often uses a combination of quantitative and qualitative data. Case studies can be particularly useful for understanding how different elements fit together and how different elements (implementation, context and other factors) have produced the observed impacts. 1. Illustrative: This is descriptive in character and intended to add realism and in-depth examples to other information about a program or policy. (These are often used to complement quantitative data by providing examples of the overall findings). 2. Exploratory: This is also descriptive but is aimed at generating hypotheses for later investigation rather than simply providing illustration. 3. Critical instance: This examines a single instance of unique interest, or serves as a critical test of an assertion about a program, problem or strategy. 4. Program implementation. This investigates operations, often at several sites, and often with reference to a set of norms or standards about implementation processes. 5. Program effects. This examines the causal links between the program and observed effects (outputs, outcomes or impacts, depending on the timing of the evaluation) and usually involves multisite, multimethod evaluations. 6. Cumulative. This brings together findings from many case studies to answer evaluative questions. The following guides are particularly recommended because they distinguish between the research design (case study) and the type of data (qualitative or quantitative), and provide guidance on selecting cases, addressing causal inference, and generalizing from cases. Case Study Evaluation: This guide from the US General Accounting Office outlines good practice in case study evaluation and establishes a set of principles for applying case studies to evaluations. Using Case Studies to do Program Evaluation: This paper, authored by Edith D. Balbach for California Department of Health Services offers guidance on the use of case studies in program evaluation. Case Study Evaluations: This guide, written by Linda G. Morra and Amy C. Friedlander for the World Bank, provides guidance and advice on the use of case studies. The paper attempts to clarify what is, and what is not a case study; case study methodology; how they can be used; and how they should be written up for dissemination.